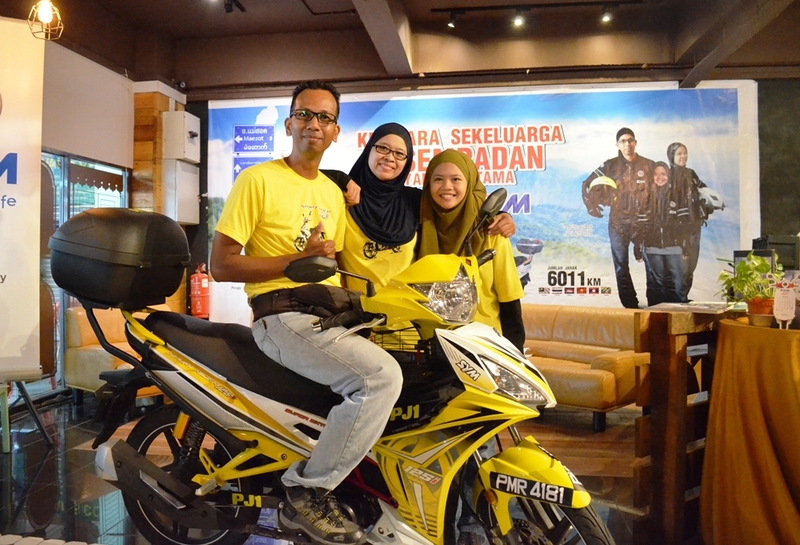 In an exciting family motorbike road trip journey that spanned across 16 days and covered 6,011km, expert biker and enthusiast Rusli Osman together with his wife Yong Suzi and his daughter Yong Sofea traversed 6 Indochina borders and happily returned to share their experience as well as to share some tips on how to make a similar family journey. 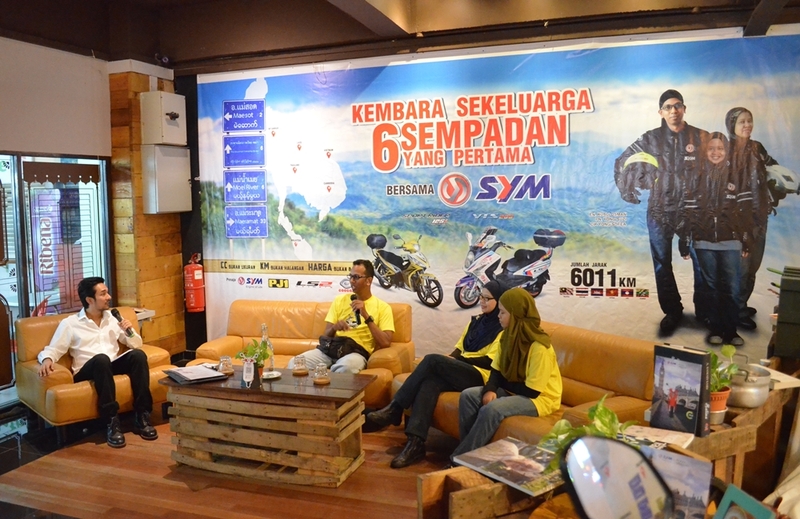 Rusli and his family also pointed out challenges, mysterious occurrences, as well as their experience using the latest SYM Sport Rider 125i and VTS200 motorbikes as a reliable transportation on their journey. Prior to embarking, they had to prepare supporting letters from embassies of the respective countries they were going to cross, as well as vehicle registration documents and insurance. Other preparations including servicing the motorbikes, preparing PJ1 engine oils and filling up a full tank of petrol on their 4.2 litre capacity Sport Rider 125i and 14.7 litre VTS200. Kicking-off their journey from SYM Headquarters in Penang, the family of 3 headed straight for the Thai border at Bukit Kayu Hitam off to Thailand and up the Thai Peninsula into Indochina, which led them through many interesting places including Hua Hin by the Gulf of Siam, up to Pattaya, Koh Khong Phnom Penh in Cambodia, Moc Bai at the Vietnam border, Siem Reap through the Wats of Cambodia, Udonthani, Kho Kao, Myawaddy in Myanmar and Kanchanaburi where the famous Durian Festival is held annually. When asked what was the strangest thing that had happened throughout their whole journey, the family cited a gravity-defying place in Mae Sot Thailand called Magic Hill, where they say vehicles roll up by itself which is said to be due to electromagnetic fields at the top of the mountain. “The most challenging part of the journey I have to say was Cambodia due to the fact that they drive on the other side of the road, so be prepared for that one!”cautioned Rusli. “Heavy traffic at certain stretches in Thailand due to road upgrades made the journey much longer, and some of the road conditions were also challenging to maneuver, calculating it I think it was over 200km on bumpy roads. But we got through, and we were happy with the suspension of our Sport Rider 125i and VTS200 motorbikes and its fuel consumption of approximately 48-52 per litre which got us through comfortably,” he added. The digital LCD speedometer on Sport Rider 125i is a handy instrument cluster indeed. 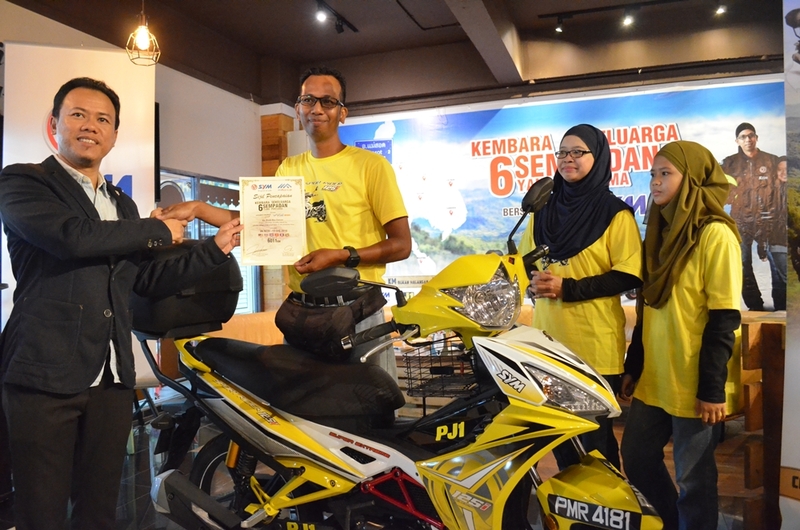 “It shows multiple duties such as time, gear read-out, odometer, fuel and battery gauge which are really helpful to plan our journey ahead.”, said Rusli. When asked for bike riding tips when travelling with families, Rusli’s advises to get yourselves prepared physically and mentally. Don’t forget to pack along necessities including food, drink, medicine and some clothes to bring along and store them in the Coocase luggage box installed on your motorbikes. “We washed our clothes whenever we got to our hotels using the laundromat services, so we managed to pack light, and did most of our shopping at Tesco Lotus or 7-Eleven along the way which kept us going with our daily needs,” he said. To get around, Rusli encourages the use of reliable GPS system like Google Maps, SYM’s riding jackets, gloves, LS2 helmets, boots and other riding gear for added safety. When riding on dusty roads like in Cambodia, don’t forget to purchase a mask from your motorbike accessory store. And don’t forget your powerbank to keep your phone alive since you’re using it as GPS, but if you run out of power you can always use the Neo Socket found on the SYM’s VTS200 to charge your accessories. As for accommodation and food, Rusli suggests to either pre-plan or pre-book your night stay or stop riding before the sky gets dark, and search for nearby hotels. They also managed to find halal food at local convenience stores as well as Muslim restaurants along the way. “And don’t forget to put on your daytime running LED light throughout the ride and VTS200’s hazard light when you stop at the side to check for GPS directions or to use your phone. The bright front and rear LED and signal lights on our motorbikes are Euro 4 compliance and definitely gave us more confidence when we needed to signal to turn or to stop and ride at night, do make sure your lights are strong and bright for travel in unfamiliar conditions,” he added.